Deciding that you want to ride and own a Harley is a big step. 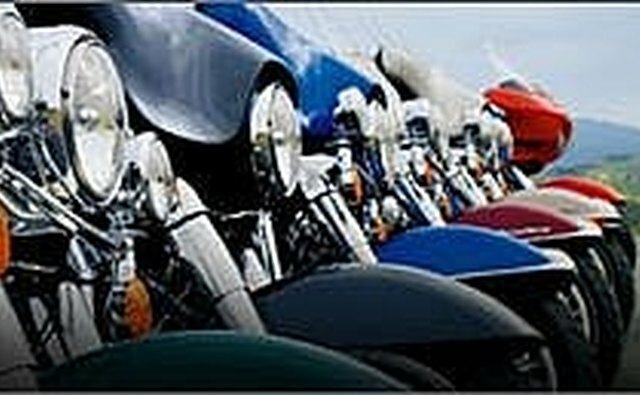 The best way to accomplish choosing a Harley for your body style is to try one out. I've owned the same Harley since 1998 and have not thought about changing. I like the one I have! Gas is cheap too! 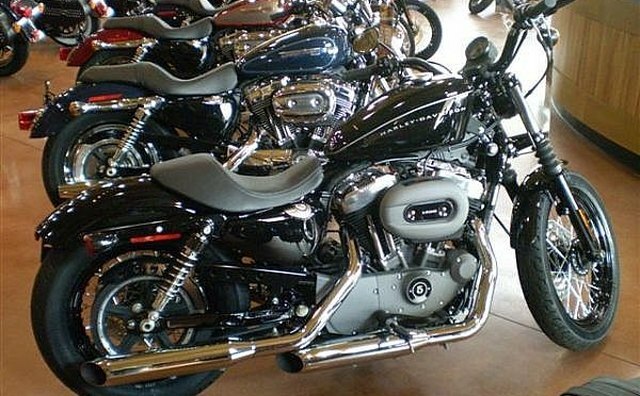 The first step in choosing a Harley that is right for your body style is by visiting a Harley Davidson dealership. 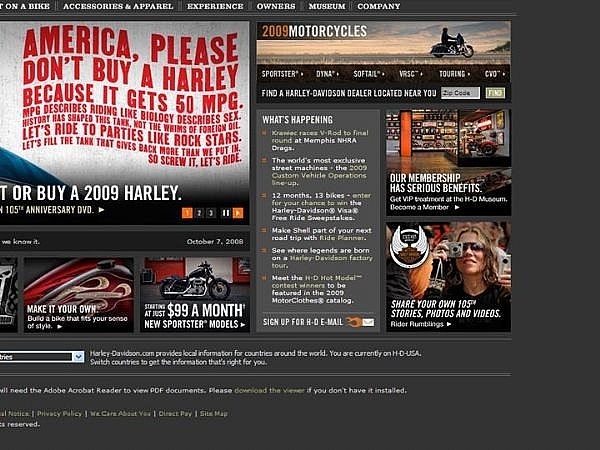 You can locate the closest dealer near you by visiting: http://www.harley-davidson.com/wcm/Content/Pages/home.jsp?locale=en_US. Click dealer locator at the top of the screen and type in your zip code. 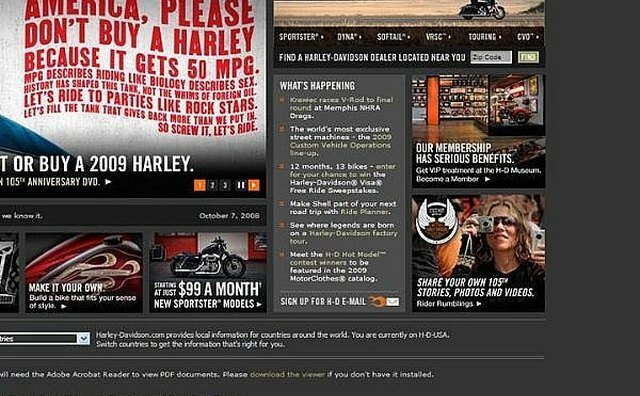 Investigate the Harley Davidson website a little further and get an idea of the colors that are available for each bike style. It helps to decide up front which colors are for you. I like red, that is what I had in mind and that is what I bought. From the website you can also get a base idea of what a Harley will cost by model. Keep this in mind while visiting the dealer. Visit the selected dealer and ask to try some Harleys out. By trying them out I do not mean to try riding one! Simply observe the inventory and ask to sit on them. 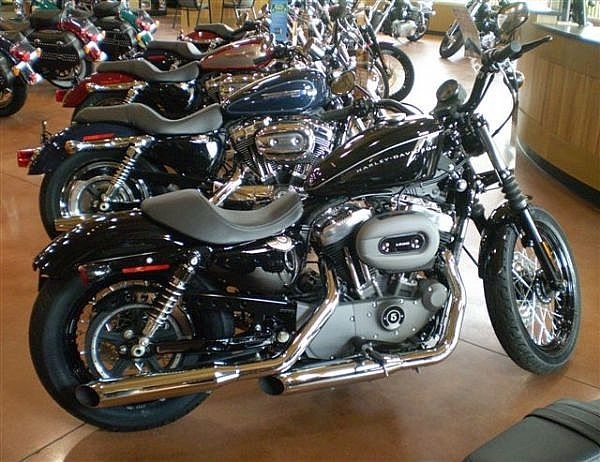 Obviously, if you are a big ol' guy (which I am not) you probably do not want to buy a Sportster. I've seen this before but really larger people will want a larger bike like a Fat Boy or a Softtail. I am a small but tall gal, so the Sportster 1200 Custom fits me well. The Sportster 883 is for a smaller person. When sitting on a Harley, take note of the distance between your rear end on the seat and the floor. Are you able to bend your knees or are you barely able to touch the floor? You want to be able to bend your knees, but on the other hand you do not want your knees in your chest either! Make sure you are able to comfortably reach the handle bars with your hands and the gear shift and brakes with your feet. You should not have to lean forward uncomfortably to reach the handle bars. You should be able to sit upright with no back strain to reach everything. Make sure the seat is comfortable. Smaller bikes have smaller seats. You don't want your "cheeks" hanging off the sides, LOL! When seated on a Harley, make sure you can lift the cycle up off the kick stand easily. If you are a small girl and cannot lift the bike off the stand, you probably do not want to buy that particular bike. Go for something smaller. If you are a large guy and you lift the bike off the stand and it almost goes flying out the window with you on it, you probably want a larger bike. Your motorcycle should have the "right" feel. Once you decide on the model of bike you want by trying them out, inquire further about the colors this particular model comes in. You already have a color in mind from visiting the website so hopefully it is available for you. Think of other features you want your Harley to have. Does it need to be a two-seater? Is the back seat comfortable as well? Do you need a windshield? Does it come with saddlebags?